What is your favorite cuisine? Tacos, burritos, tamales, tortas, enchiladas, margaritas… without hesitation, I would say that Mexican food is my favorite. I love the muy authentico Mexican foods and the Tex-Mex varieties equally. 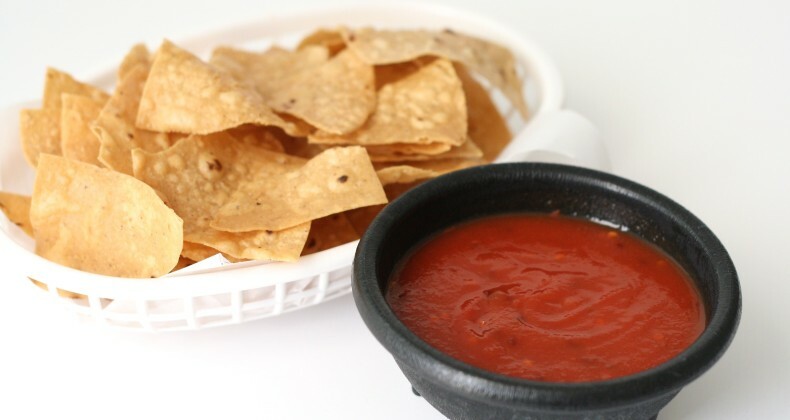 A good restaurant salsa can make or break your dining experience. The story goes my uncle (who was in high school at the time) fed me chips and salsa when I was barely six months old and I love it. I have pretty much been stuffing my face with chips and salsa since. Thanks, JP! 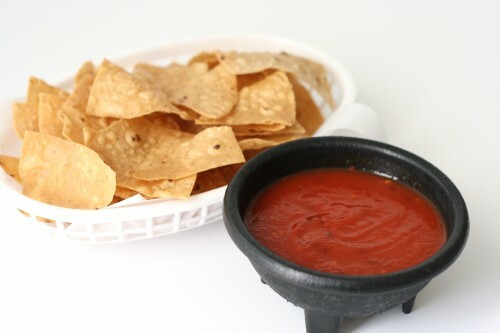 In college there were times when I couldn’t make it to the cafeteria for dinner, stupid night classes, so I would make chips and salsa my dinner after class. 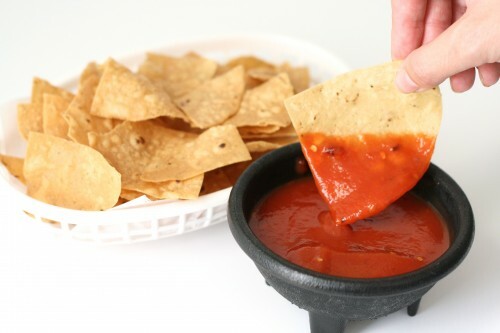 Mexican restaurants that give you endless chips and salsa are my favorite. Yes, I know that you shouldn’t fill up on that type of stuff before dinner but freshly made chips are about a billion times better than the chips you get at the grocery store. And the salsas. Ahhh the salsas, they are so good too. About a billion times better than the jarred stuff in the store. This restaurant salsa isn’t a salsa in the sense of tomatoes, onions, peppers, and cilantro. This is more of a sauce. A spicy tomato sauce in fact. Which is perfect when slightly warm. This salsa is very similar to the salsa I grew up eating at our local smokey bar that served some of the best Mexican food. This restaurant still exists but I don’t get back to eat it very much anymore. Instead, I have slowly started to recreate my favorites at home. My mother-in-law actually told me she heard the secret to their salsa was tomato sauce and red pepper flake. That is it. How easy, right?! I had to give it a try and we were so pleased with the end result I know I will be making this many, many, many more times in the future. It is true moms do know everything. What is your favorite cuisine? Have you recreated restaurant favorites at home? Try it slightly warmed up! Simmer over medium-low for 5 minutes. chips and salsa yum! Now we just need to get you to figure out the chili gravy recipe! I can’t wait to try this salsa recipe! My oldest son loves all things Mexican food so we try out a lot of recipes we find online. This one seems really unique!